Privacy filter is designed for use with 17" laptop or flat panel monitors. Blackout technology darkens screen images when monitors are viewed from the side. 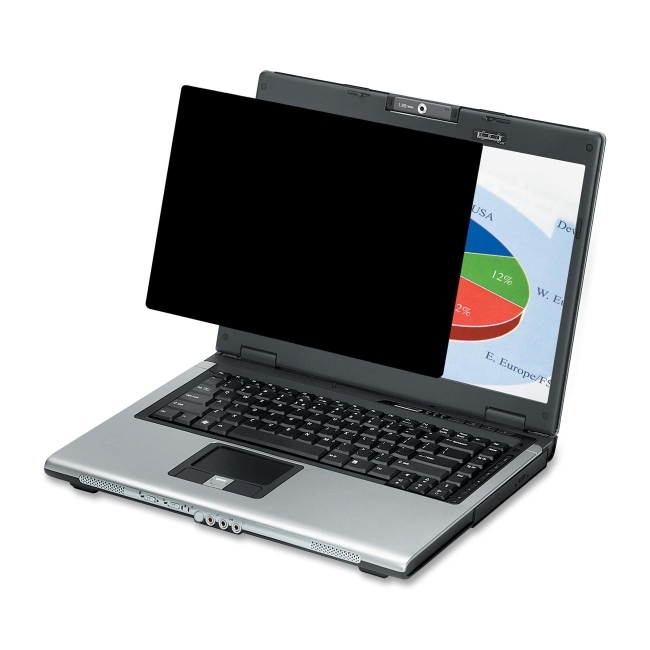 On-screen data is only visible to users directly in front of monitors. Recyclable filter protects monitor screens from dust, fingerprints and scratches. Antireflective surface reduces screen glare to help prevent eyestrain. Screen is easy to attach and remove. Screen size should be taken by diagonal measurement.